Boringdon Hall Hotel is one of Devon’s finest Historic Country Hotels. It is situated within 5 minutes of Plymouth and on the very edge of Dartmoor. The hotel was taken over by the Newquay Hotels Group which also own The Esplanade Beach, The Bay Spa Hotels. 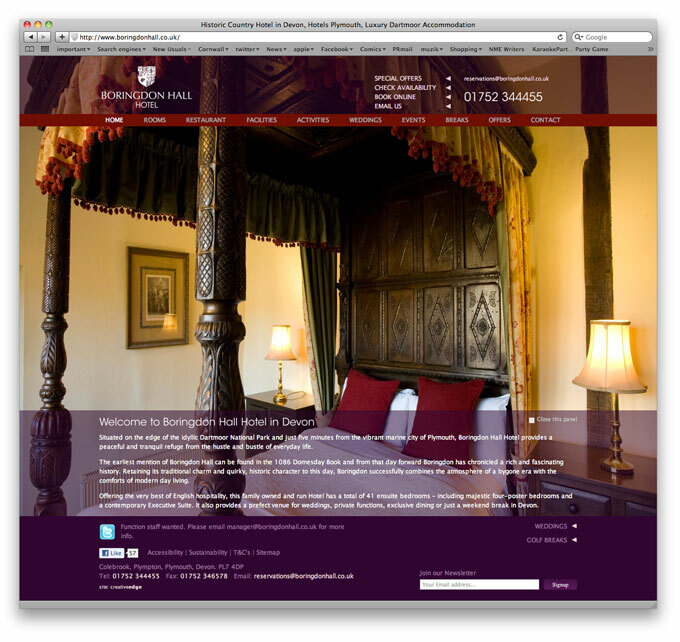 The Hotels group approached DWC to increase traffic to its sites by applying on page SEO techniques, specifically in the first instance to the recently acquired Boringdon Hall website. Key search targets for the site have been established with holidays, events, weddings and short breaks regarded as top priorities.